The magic lamp of Aladdin in Azerbaijan State Youth Theatre of Young Spectators buy tickets online. Delivery of tickets for the event The magic lamp of Aladdin. On the basis of the Arab folk tale. 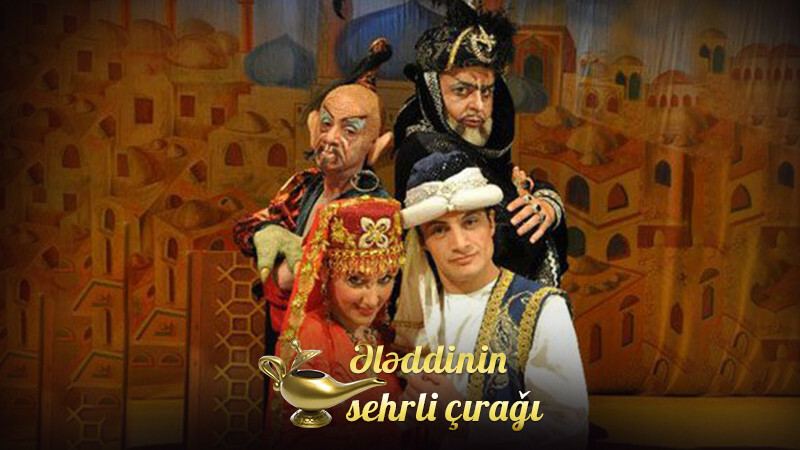 "Aladdin Magic Lamp" - "Ələddinin sehrli çırağı" Tale-performance The director - Nijat Kazimov This performance is basis of the motives of Arab folk tales of Aladdin and it is about the interesting events happens to poor Aladdin. The uncle of Aladdin tricks him and after this Aladdin faces very difficult tests. The spirit that he meets plays an important role in the story and also in the interesting things that happens to him. At the end of this performance good people win and Aladdin is reunited with his mother.